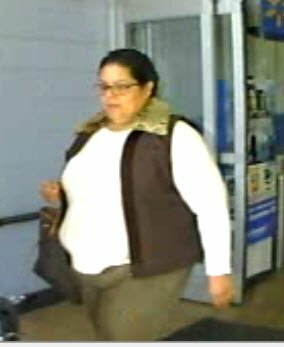 Suffolk County Crime Stoppers and Suffolk County Police Fourth Squad detectives are seeking the public’s help to identify and locate the woman who used a stolen credit card at a Walmart store in Centereach. Centereach, NY - October 4th, 2014 - Suffolk County Crime Stoppers and Suffolk County Police Fourth Squad detectives are seeking the public’s help to identify and locate the woman who used a stolen credit card at a Walmart store in Centereach. On September 17, 2013, a wallet containing credit cards was stolen from a woman’s pocketbook while she was shopping at Trader Joe’s in Lake Grove. She later discovered that one of her credit cards was used that day at the Walmart store located on Middle Country Road in Centereach. Subject: LongIsland.com - Your Name sent you Article details of "SCPD Crime Alert: Woman Wanted for Grand Larceny in Centereach"